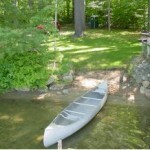 Lake Opechee is located in Laconia NH, surrounded by larger lake Winnisquam and Winnipesaukee. The deep water 420 acre lake is located in town. This one of a kind property on a secluded 5.6 acre parcel with 190+- feet of waterfront on Lake Opechee. 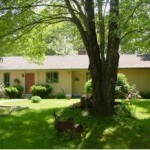 This home is located right across from Laconia Country Club. Listed by RE/MAX Bayside This home is new to the market offering with western exposure, sandy beach and a screen room right on the water's edge. 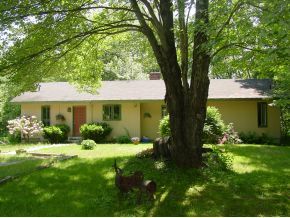 The home is a 4 bedroom, 2 bath Ranch with plenty of decks and a screened porch. 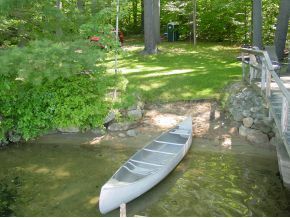 Subdivision possibilities or enjoy the solitude this property has to offer. This home has 10 rooms 4 bedrooms and 3 bathroom. A private sanctuary right in the middle of town.